Home / Unlabelled / Chinedu Ozulumba: What’s Next After Winning Your First Customer? 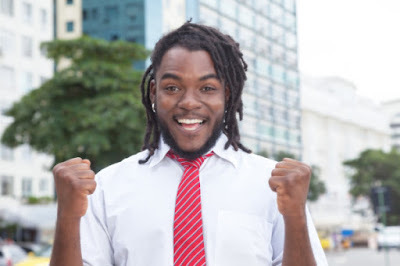 Chinedu Ozulumba: What’s Next After Winning Your First Customer? Winning your first customer is like hitting the bull’s eye in the game of dart. It’s your breakthrough point; someone has found your product worthy of attention, and is willing to part with money in exchange for value. Do I have a ready market waiting to try out what I have to offer? Who will that first client be? Will my product(s) meet their needs? A few years back, I took out time with my partner to visit a business district in Lagos where we could find names of companies we could send business proposals to. We explored each street and copied down names of big corporate organisations. We collated about thirty corporate names, prepared proposals and sent out to each and every one of them. I wouldn’t say that gave us our first breakthrough customer, but it perhaps did months later. Unpredictably, my first breakthrough customer was from a company bottling water for commercial use. Luckily it was a pastor friend in my former parish, with whom I enjoyed a cordial relationship that had now blossomed into something much better and profitable. He was willing to take a chance on me and asked me to render services even without sending a proposal. Make a list of ten people you know closely, and who you think would be interested in your product. Afterwards, reach out to your prospects on a personal basis, while remaining professional. When you get your first customer, go for the second. The ability to sell and sell fast will determine how fast your business will progress though the start-up life cycles. In your first year, test the market by producing samples of your product and giving some away for free with the intention of getting feedback. Giving out free products or services at the beginning works for businesses with stiff competition and many available substitutes, for example Barbing and Hair dressing, car wash services, gym courses, Home and office cleaning, laundry, waste disposal services are incentive driven. You’ll need baits to pull them in. Who wouldn’t want to stick with business owners that care? You’d need to sustain such freebies and improve on your services to keep them. Not only will you create a healthy publicity for yourself, you’re giving yourself an opportunity to know the perception and reaction of the market to your new products. The N50 per piece looks most affordable and most likely would generate more sales but it may be unprofitable as it appears to attract more operational costs. Are you concerned about the numbers or you’re interested in growing a brand that will sell highly priced items in the future? It depends on your perspective and what kind of business you want to build. You can bootstrap a big brand, yes you can. The early years of Steve Jobs and Steve Wozniak starting Apple in a garage is a story well known. After they dropped out from college to develop their computer devices in the Job’s garage, it got to a time they knew they needed more financing. Job later had to find a co-signer to get a bank loan of $250,000. Be conservative with what you have while remaining realistic with your profit expectations. Work towards covering your costs and thereafter, break even. Once you’ve considered your figures and how you’ll make money, then you can go out and start talking to people about your products while you prepare to launch your business.